Manaslu Trekking Packages is located ina remote, secluded,and spectacular trekking area of the Himalayan territory of Nepal than all other outstanding treks like Annapurna region trekking and Everest region. Manaslu Region trek is located in the west-central part. Manaslu Trekking Packages starts by touring the UNESCO World Heritage Sites of Kathmandu heading towards Trekking Packages in Manaslu. While on the excursion we get the chance to wonder about the heavenly perspectives of Mt. Manaslu (8163m), the eight tallest mountain on the planet, combined with an opportunity to encounter the biodiversity of the territory and rich local heritage. Diverse ethnic groups can be found in this district with whom you can have interaction to know about their lifestyle. Citizens of Mansalu region follow Hinduism and Buddhism religion here. 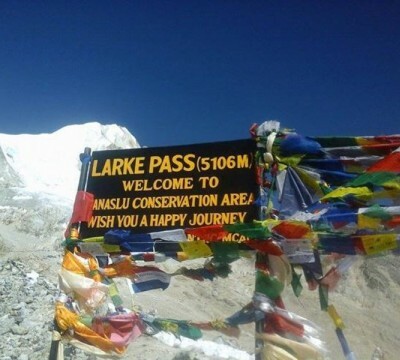 'Larkya La Pass' is the most elevated point in the Trek to Manslu , which is broadly accepted to be a standout amongst the most enthralling pass crossing the Himalayas. A significant part of the Mansalutrekking includes strolling on mountain trails and can be performed by any individual. Manaslu Trek tour is the most adventurous trek which provides excellent opportunity to look for the radiant perspectives of world's most noteworthy mountains including Mt. Manaslu, Himalchuli, NagdiChuli, Shringi Himal, Ganesh Himal II, Saula Himal, Simnang Himal, Cheo Himal, Himlung Himal and numerous other lovely pinnacles. There is no requirement of domestic flights as the trailhead is reached over land. You may get to see blue sheep. The beautiful scenery amid the trek is an opportunity for photography lovers. The landscape during the Trekking in Manaslu Trekking Packages in Nepal gives all that Nepal can bring to the table. You'll trek at low elevations around the subtropical forests, trailing by the Himalayan foothills to the cold, high, and testing Larkya La passes over 5,100 meters (17,000 feet). You stroll from rich sub-tropic as well as will witness the panoramic view of most elevated mountains on the planet.Passing a few villages, you will finish your entire trekking. The Manaslu Trekking Packages is getting increasingly famous as a new trekking spot.